Everyone is different and there's no such thing as a 'one size fits all' program. My workouts are tailored to suit each individuals needs, whether it be to build strength, size, boost endurance or reduce body fat %. Whether you enjoy training outside or in a gym, my programs are designed to achieve your goals and get real results. Group sessions involve HIIT (high intensity interval training) with a mixture of equipment and bodyweight activities. Do you want to train with me but are not in Sydney? No problem I can provide personalised tailored programs to suit your needs. 6 weeks of training at Bondi Beach. 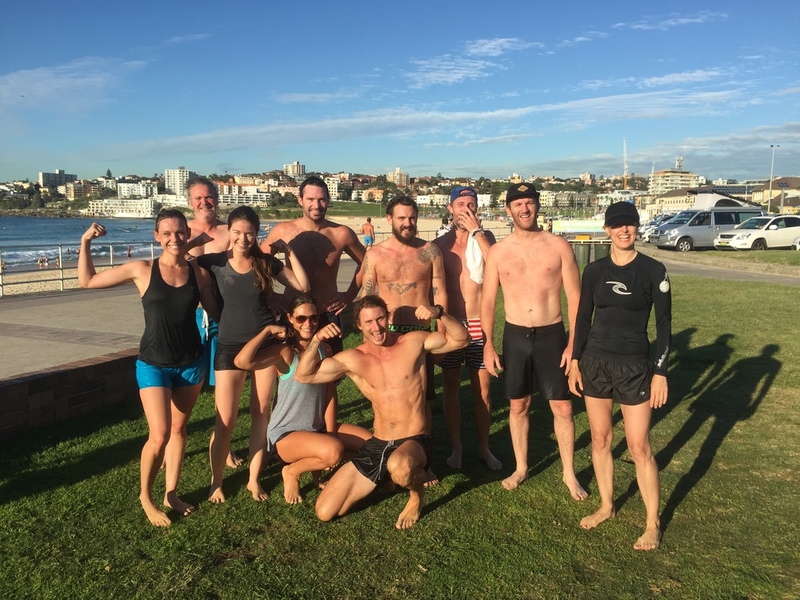 Our sessions consist of a variety of strength and cardio based circuits, utilising equipment, bodyweight, soft sand and (conditions permitting) the water. These sessions are for small groups of 5-20 people and are available to anyone wanting to train with a team, receiving top quality instruction at a discount price. They are suitable for all fitness levels and are usually done outside using a variety of HIIT (high intensity interval training) techniques with equipment and bodyweight activities. If you would like to organise your own group training, whether it's an ongoing thing, a work event or a team bonding day, Just shoot me an email here and I'll get back to you. One on one training is for those wanting a more personalised service or for those wanting to push a little harder. Sessions can be done outdoors or in a gym with a fully personalised program designed around your specific goals. Weight training, outdoor calisthenics, boxing and soft sand training available.